The LWF invites churches and congregations to make use of the draft order of worship prepared for LWF Reformation Sunday 2017 in services held on or around Reformation Day, either as a whole or by using individual elements of it. 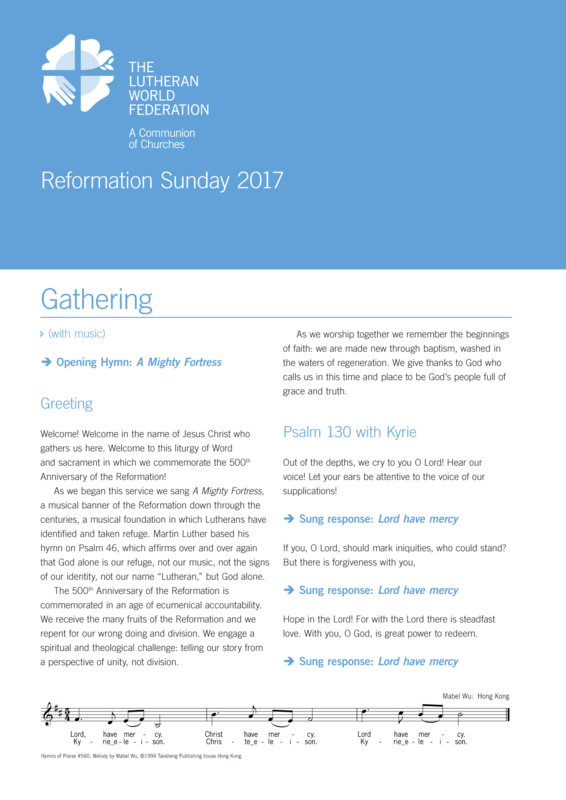 For example, hymns are proposals and can be adapted as needed. The service is inspired by the liturgy of the Global Commemoration of the Reformation that was celebrated in Windhoek, Namibia during the LWF 12th Assembly on 14 May 2017.